Decked out is an exquisite dark bay filly with four whites and a blaze. 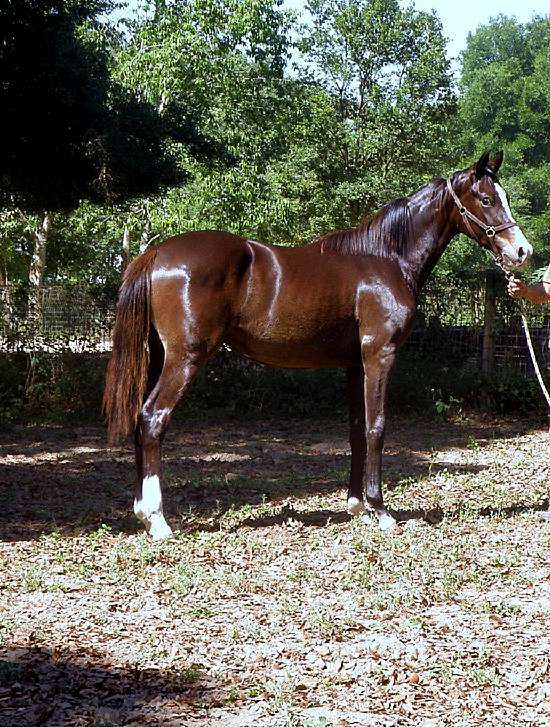 She is by the Hanoverian Stallion, Doctor Wendell MF, out of the Hanoverian Mare, Dom Perignon. Diva was honored with the coveted title of "Premium Foal of Distinction" by the jury of the German Oldenburg Verband at Inspection in July 2015. Only the finest foals are given this title for their outstanding type, conformation, powerful movement and elasticity. Diva should mature 16.2 hands or more and with her movement and athleticism she should excel at any discipline. Life Registered USEF and USHJA. Diva has found her perfect home in Virginia and we can’t wait to see her in the show ring one day.